Silver Ring, Copper Ring, Handmade Ring with metals, tri-metal rings, handmade ring, Copper and Brass Ring. 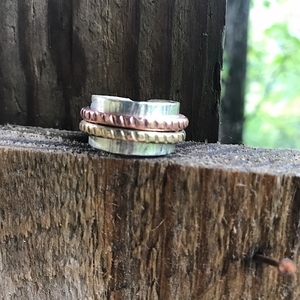 Home > Rings > Sterling Silver Band Ring with Brass and Copper. Tri-Metal Ring, Handmade Ring. Valentine's Day Gift for Her. 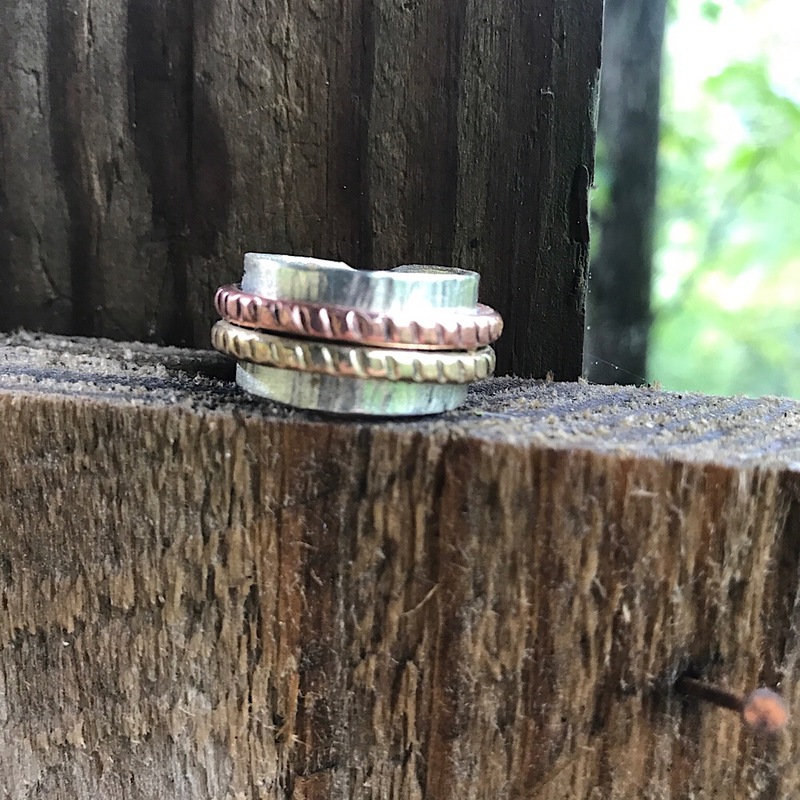 Handmade sterling silver band ring with copper and brass rope accent. This one of a kind design is handmade in the USA by The Fun Company.